Please make sure that all prices are shown in Euros. For UK, US, Swedish, Swiss and Danish residents, your payment company will automatically change the prices to your own currency at the check-out. Do you live elsewhere but would like to order an item? 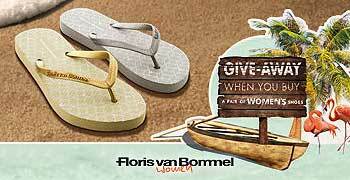 Please do not hesitate to get in touch with us via webshop@florisvanbommel.com to receive a personal quote. The shipping costs vary according to the country we have to ship to. See the question above for an indication of the specific shipping costs per country. Shipments above € 500,- are free of charge for all countries except for the USA, Switzerland and Andorra. Your order will be shipped from the Netherlands, so please be adviced that orders placed outside the European Union and in Switzerland are likely to incur customs charges. These charges must be paid by the recipient of the parcel. We have no control over these charges, and are not able to tell you what the cost would be, as customs policies and import duties vary widely from country to country. If you would like to have an idea about the charges, we advice you to contact your local costums office. When you place an order before 2 PM, your shipment will be sent out on the same day. It normally takes 2-3 working days for your shipment to arrive. The delivery company delivers shipments every afternoon and evening. You can check the exact time slot for your delivery via the track & trace link included in the order confirmation we send you via e-mail. When you sign up for our newsletter you receive a one-time and unique 10 Euros* off discount code via email which you can redeem with your first purchase. This special offer is only valid for new customers and with your first purchase. The code is valid for one month and can be redeemed during the ordering process, by clicking on the drop-down field “discount code” on the shopping cart page. The discount of 10 Euros will automatically be deducted at check-out. 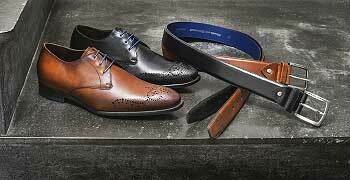 *Please keep in mind that the coupon code is not valid at discounted articles, on gift cards and on shoe care products. Customers need to cover the shipping costs for returning items themselves. Please note that the returning costs may be higher than the postage you paid for receiving the shipment. Unfortunately, it is not possible to exchange an item. But of course you can always order the desired article and return the one that you do not want to keep. We guarantee a prompt refund. Once your returned item arrives at our warehouse, you will receive your refund within 10 working days. If you have any questions regarding refunds, please do not hesitate to contact us. Our international web shop offers you the following payment methods: PayPal and credit cards (MasterCard and VISA). We do not charge any fees when you pay with any of these payment methods. Find out more about our various payment methods here. No, at this shop you can only choose for PayPal or credit card. Floris van Bommel does not have an in-house repair service. Should you have any questions, do not hesitate to contact us.